Would you like to join Phi Theta Kappa? Learn about scholarships? Or just enjoy some mac and cheese while meeting some of the best students at Inver Hills? Learn about the International Officers! Each year five students are elected to serve as international officers during the Society’s Annual Convention. View International/National Officer History. Phi Theta Kappa’s International Officers include a President and four Vice Presidents, representing four geographic Divisions. 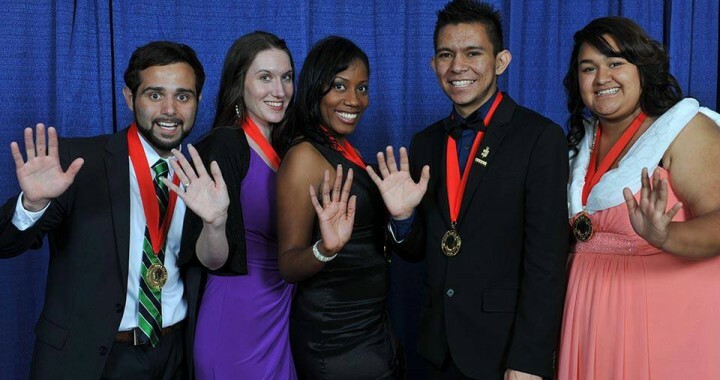 Find out more about the regional alignment of Phi Theta Kappa’s four divisions. 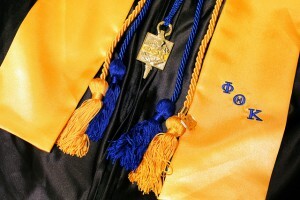 Phi Theta Kappa Regalia will be available to rent or purchase for an hour before commencement. All those renting must return their items at the Phi Theta Kappa Regalia table on the second floor of the College Center by 9 pm on May 15th. Founded in 1918, Phi Theta Kappa is the official community college honor society with over 90 years of dedication to recognizing academic excellence. 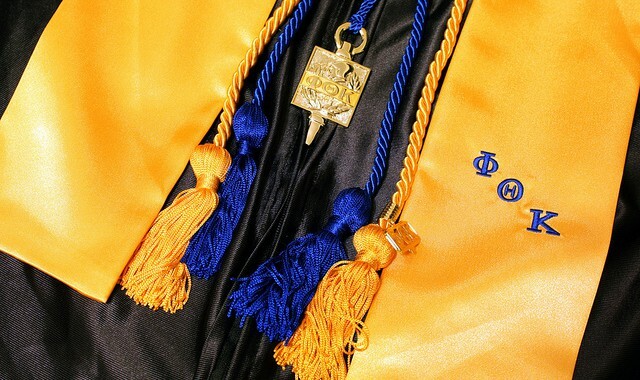 Phi Theta Kappa recognizes and rewards high-achieving students and provides scholarships for continued studies as well as opportunities to develop such critical leadership skills as problem solving, project planning, team building, effective communication and conflict resolution.